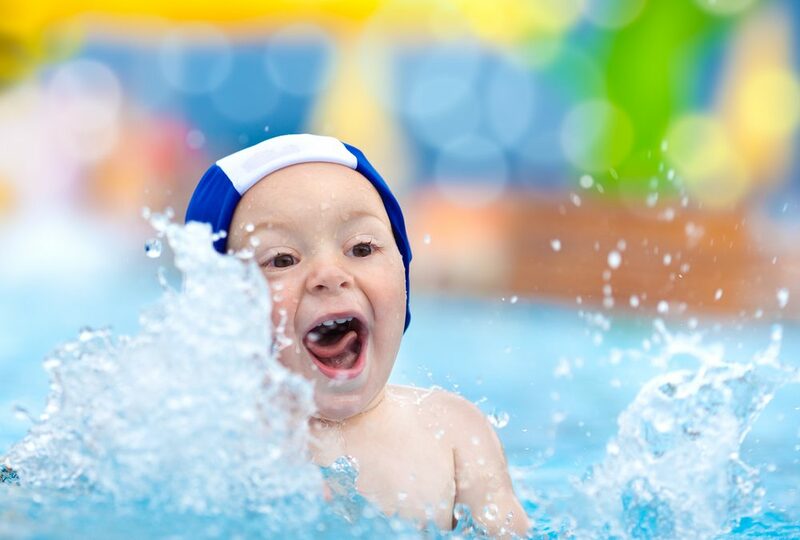 If you’re a first-time pool owner this year or if you have a new baby in the family you will want to know how to swim with your baby so he learns to enjoy the water, is not afraid and above all, is safe! The swimming pool builders from Imperial Pools in Dacatur, illinois offer tips to help you introduce your baby to the water in a fun and safe manner. You can also talk with a local swimming instructor and get tips or even take a class with your baby so you learn best practices. Remember, though, even a child who knows how to swim should never be left alone in the pool. In fact, no adult should swim alone! Here are some holds and ways to introduce the baby to the pool so she will look forward to spending time with you and will develop a healthy attitude toward swimming. The face-to-face swim hold. This is one of the most versatile ways to hold your baby in the water. Just as you’d carry her if you’re not in the water, this is similar. Put your hands under her armpits, put your fingers around her shoulders and hold on tight. Remember, water makes babies slippery! This hold puts you and your baby chest-to-chest and face-to-face and helps her feel safe. A hug hold. This is the most secure hold for a baby in the water. Wrap your arms around him and hold him tight. Walk slowly through the water and let him get used to the feel of the water on his skin. A pass hold allows a baby to have a bit more freedom. This hold is almost like you’re holding him on your hip as if you were walking. Put a hand under his armpit and rest him on your hip, holding him around the waist with your other arm. Let him splash and kick and generally have fun in the water. You could even give him a pool noodle or other favorite toy that floats and let him play with that in the water while you’re holding firmly onto him. When you take your time to get your baby acclimated to the water you can build a lifelong love of water not a fear of the water. Remember when you were a child and the way to teach a child to “swim” was to toss him into the water and let him flail his way to the edge? Not a great way to teach a love of water! To add safety to your swim time and to get your child accustomed to it, have her wear a life vest every time you’re in the water. She may also want to wear swim goggles so she doesn’t get water in her eyes — that is your choice. Here’s to you, your new pool and your new baby enjoying time in the water together!